Romulus Replacement Windows | Romulus Wood Windows | Romulus Window Replacement Companies | Romulus Storm Windows | Romulus Wood Replacement WindowMcGlinch & Sons CO. If you are building a new home in Romulus or looking to upgrade your home windows then McGlinch & Sons, Co. Home Improvement is the leading home replacement window option for you! McGlinch & Sons offers four generations of familiarity and installs stunning details that stand apart from other window replacement companies. 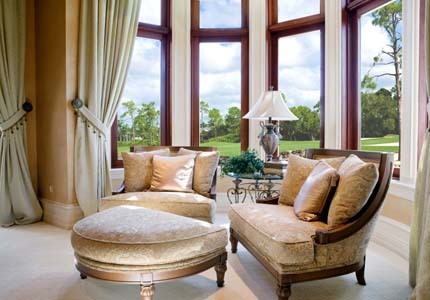 We provide the most exceptional wood windows, storm windows and replacement windows. Our replacement window options are built to last the harshest environmental conditions and to endure the test of time. Our 90 years plus of knowledge and experience will give you the replacement windows, wood windows or storm windows that will keep you satisfied for years to come! Many residents in Romulus have recommended us to family and friends for the service we provide at McGlinch & Sons. Romulus, Michigan is a beautiful suburb of Metro Detroit and home to Detroit Metropolitan Airport. Romulus is located in Wayne County and has a population of 22,979 and home to a General Motors plant that opened in 1976. Romulus’s motto reads, “With Pride, With Unity”. McGlinch & Sons wants you to be proud of your amazing replacement windows. If you have been contemplating purchasing wood replacement windows, storm windows or wood windows then contact McGlinch & Sons. We have the highest standard of any window replacement companies in the area. McGlinch & Sons will offer you the best replacement windows from our treasured family owned and operated window replacement company. We know that our wood replacement windows are not only overly functional and easily maintained but also add value to your home. McGlinch & Sons has a 100 year history of providing extraordinary wood windows, storm windows and replacement windows. McGlinch & Sons supplies dependable, reliable and cost effective storm windows and wood replacement windows to all Romulus clients. Our history of satisfied customers at McGlinch & Sons speaks for itself. You can be sure your replacement windows will be delivered and installed in a timely fashion by our skilled technicians. Call McGlinch & Sons today at (313) 278-2777 to find the replacement windows, storm windows or wood windows that will be ideal for your home. Visit us online to receive a Free Estimate for your Romulus home and to view our special offers and discounts!